I met Mark for the first time in a pub, in north London, where there was a panel discussion launching Simon Reynolds’s Rip it Up and Start Again. For a few years at this point I had been reading K-Punk, religiously, for writing of a sort that wasn’t supposed to exist anymore, and that elsewhere, off the internet, largely didn’t. Working as a filing clerk for T Brown and Sons Heating Engineers, I would use a proxy server to wait for, and then read, the latest K-Punk post, many of which had the same sense of anticipation that you would have waiting for a new record, the next episode of some sort of dream-serial. Then you’d be rewarded, when just under the document you were meant to be working on, you could bring out something like his essay on Joy Division, his account of Fleetwood Mac via John Le Carre, and later, his astonishing series on The Fall. These names might make it all sound like one of those Rock History magazines, but K-Punk involved an entire canon, one where Japan’s ‘Tin Drum’, Visage’s second album, Gladys Knight’s ‘The Way We Were’ were of more import than the entire collected works of Bob Dylan. I knew that ‘Mark K-Punk’ would be at the event, and given that I occasionally posted on the forum he’d set up, Dissensus, and had for a few weeks ran a deeply K-Punk derivative blog, I drank enough to feel confident enough to introduce myself. He knew who I was, was incredibly friendly, a man in his mid-30s with wiry, dyed pink hair and excellent dress sense. He suggested next time meeting somewhere else: ‘I hate pubs’. This opinion, controversial enough, was followed by a discussion where he made abundantly clear he considered everything New Order did after Movement to be totally inferior. From there, we became close friends. This was partly through blogging and through forums – he overrated what I did massively, but an idea was never left alone, always pulled into a constellation with others, and speaking to Mark made me a writer who took seriously what I did, as he did. A post on K-Punk, produced in his spare time, unpaid, was always far more finely wrought, considered and original than the hackwork people were and are habitually paid for. It helped that he lived nearby, I in Deptford, he in a flat in a rambling, subdivided Gothic house in Brockley, with a big, sinister pointed-arched door. People will write, rightly so, about how personable Mark was, how funny – and how much he found other people funny, how often he was laughing. But when I say this, it almost implies that there were two sides, the terrifying pop theory terminator and the friendly, animated football fan and superb cook. As if the first of those wasn’t serious. I don’t think he found those things remotely contrary, and however ferocious he could be online, he would have considered personal animosity not just petty, but irrelevant. 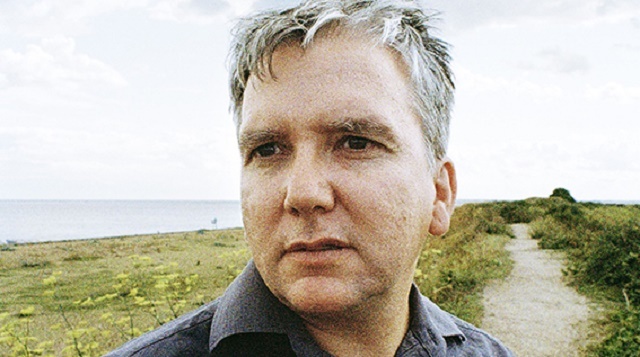 Mark spoke as he wrote – part of what made him such a terrific public speaker – and would refer to something quite casually as ‘delibidinising’, or pepper his speech with the neologisms he would coin in K-Punk – ‘interpassive’, ‘oed-i-pod’, ‘proleface‘, to denote the caricatures of working class culture that were and are dominant in the media (‘legitimate concerns’) and my favourite of all, spoken in a very slightly East Midlands-accented cackle, smugonaut. I learned, and it made perfect sense, that K-Punk had come out of a period of depression, as a means of getting out of it – it read as the reappearance of a voice that had been silenced, that had disappeared, as someone coming back to life. A decade before I knew him there was the CCRU, jungle, Warwick, an earlier, younger life. The world we created was an incredible solace during the apparently endless boom, the grinning Blairish optimism that danced on the grave of everything Mark held dear – a popular modernism that was miles from the ‘pop’ and ‘rock’ held up by cultural studies (another derisive cackle, cultstuds) as an alternative to theory and politics, but one which was theory and politics. A constantly morphing musical subculture, a working class dandyism (he longed for the day that working class youth would stop wearing sportswear), self-education, solidarity, hope that we as a society could do better than this. I had started blogging largely because I’d been diagnosed with a chronic illness, was in catastrophic debt, was mostly unemployed, and had no idea what my future looked like. Mark was such an inspiration because he had made his blogging a vengeful, resentment-driven (VIVA RESENTMENT!, ran one K-Punk headline) assault on a cultural and political world that seemed designed to make sure that someone like him was impossible. But again, this all sounds too personal; the point for him was the creation of a new network, something that would supplant and destroy the world of….well, you can fill in who, you know who they are, and they’re still there. With the usual consonantal slip, it was about a Kollective. Zero Books came out of this, in an uneasy relationship with a dubious mind body spirit publisher – control wasn’t really achieved until he and Tariq Goddard set up Repeater Books, away from its auspices, but at the time, nobody else was going to publish anything like this. Each of the early books Zero put out is unimaginable without Mark’s influence as interlocutor, inspiration and constant encouragement. The statement printed on each book, that relentlessly driven little mini-manifesto, was of course written by Mark, in such obviously K-Punk cadences – ”a cretinous anti-intellectualism presides, cheerled by expensively educated hacks in the pay of multinational corporations who reassure their bored readers that there is no need to rouse themselves from their interpassive stupor’ – what other publisher’s mission statement not only includes a neologism the writer had just made up, but also made you want to stand up and cheer? And for a first book, rather than put together some things he’d already written, like the rest of us did, Mark instead wrote through a short book of breathtaking clarity and power, the K-Punk voice changed a little into something less stentorian, a humane, melancholic but eventually hopeful account of precisely how capitalism fucks us up. If anything, Mark grew as a writer after that – his blog posts on political figures like Gordon Brown and David Cameron showed an assured, dramatic political historian who could have made a career out of long durée cultural history. A short Compass pamphlet with Jeremy Gilbert showed that he could write extremely convincing thinktank reports if he wanted to. There were projects that never happened: the radio collage on 1979, the book on football, the book on Grace Jones, a book on post-capitalist desire to be called ‘Acid Communism’. What there is, both during and after K-Punk, is at its best on the level of Fredric Jameson or Walter Benjamin at their best. Often better, because while they wrote about pop culture and class consciousness from the outside, these were utterly intrinsic to Mark, immanent, the fibre of his being. It was always particularly exciting when Mark came across someone or something contemporary that was worthy of his ideas – David Peace, Burial, the Hunger Games. Caricatured as a miserablist, he was anything but, and sometimes he would overrate things so as to wish new movements into being, to will ways out, as if he could write them into existence; I think he saw the student protests, and the shift to the left in Labour, as vindication of his ideas, which they were. But I saw little of Mark in the last few years. He was in Suffolk, I was half the year in Warsaw. We would see each other intermittently, briefly; I would read his things, we would exchange short ‘interactions’ on social networks, that was it. I last saw him a year ago, at an event where he was in conversation with Andy Beckett, whose books on the 1970s and 1980s show how K-Punk’s once-marginal hyperstitional-cyber-pop-theory had begun to influence the writing of history. My last happy memory is of around five years ago, in Zagreb, where there was a Zero Books event. He, Douglas Murphy, Agata Pyzik and I walked round the city, with its crumbling socialist modernism and Hapsburg boulevards, in the worst fog I’ve ever seen, so thick you could barely see in front of you; a scene so K-Punkish it was hilarious, a ready-made Kubrick set of ornate modernity, into which people would fade in and out like ghosts. We then came to a sign pointing to ‘the museum of broken relationships’ and collapsed into giggles. He did that a lot. I regret seeing him as little as I did in the last few years more than I can possibly express.